The time has finally arrived! 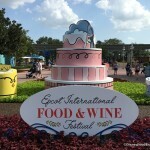 Today is Opening Day for the 2012 Epcot Food and Wine Festival in Walt Disney World! But, as many of you know, yesterday was a “soft opening” for the tasting booths in Epcot’s World Showcase…which means I GOT TO EAT STUFF! 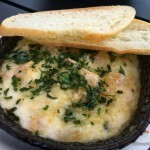 Yep — I sampled just about every single item on the menus yesterday (yes, I’m very, very full), and I’d love to share some of my favorite NEW eats for 2012! 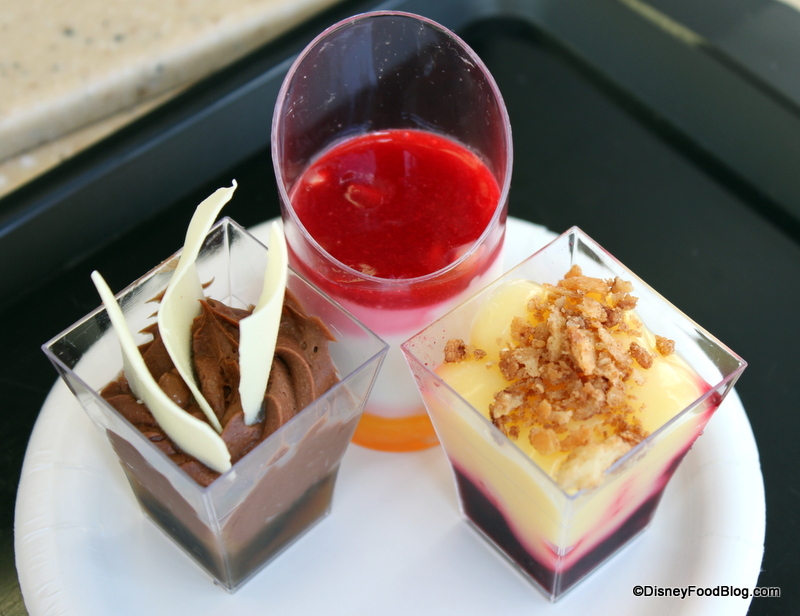 Remember, if you want to see ALL of the photos I took yesterday and ALL of the food items available at the Epcot Food and Wine Festival this year, you’ll want to head over to our individual booth pages here. Just click on the country you’d like to see and we’ll share both the menu and all of the food photos! This is a brand new item at the festival this year, and I’ve definitely been looking forward to trying it. A savory (and actually quite large!) pocket filled with ample amounts of spinach and paneer cheese, this vegetarian snack definitely makes the list. Get it in South Africa. 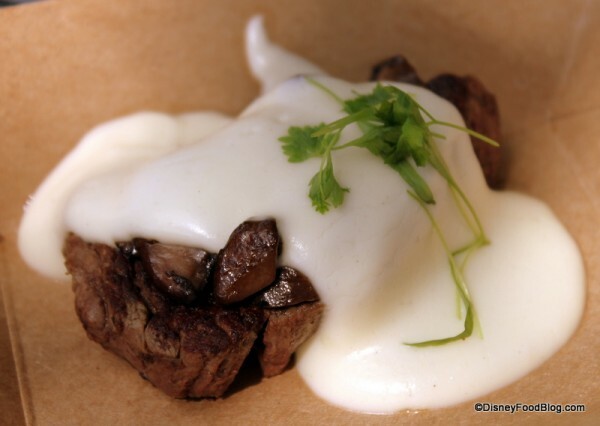 Well, I was definitely excited when I found out the Canada Booth was going to bring the fabulous Le Cellier filet with truffle butter sauce to the festival. But I was ecstatic when it turned out to be delicious! I mean, come on — what if they overcooked it? What if there wasn’t enough truffle butter sauce? There was so much that could go wrong. 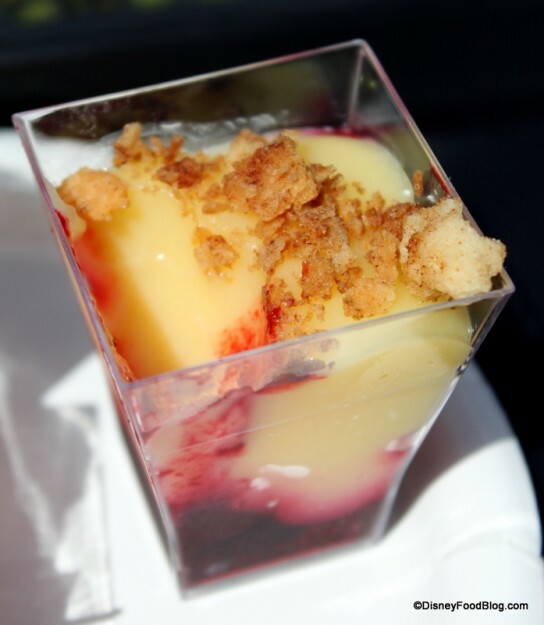 You guys know how I feel about lemon curd…and how I feel about lemon curd paired with blueberries…so you can imagine how I feel about the Lemon Custard Verrine with Blueberry Compote at this year’s Desserts and Champagne Booth! Don’t let the lemon “custard” fool you. This tastes like straight up lemon curd. It’s sour — probably too sour for some — but that blueberry compote definitely sweetens things up. I will be headed back. I will buy more. Oh yes. Another brand new item at the festival this year is this sweet sausage with red pepper and Ciabatta bread found at the Italy booth. Both sweet and spicy, the savory dish is definitely one I’d return to buy again! 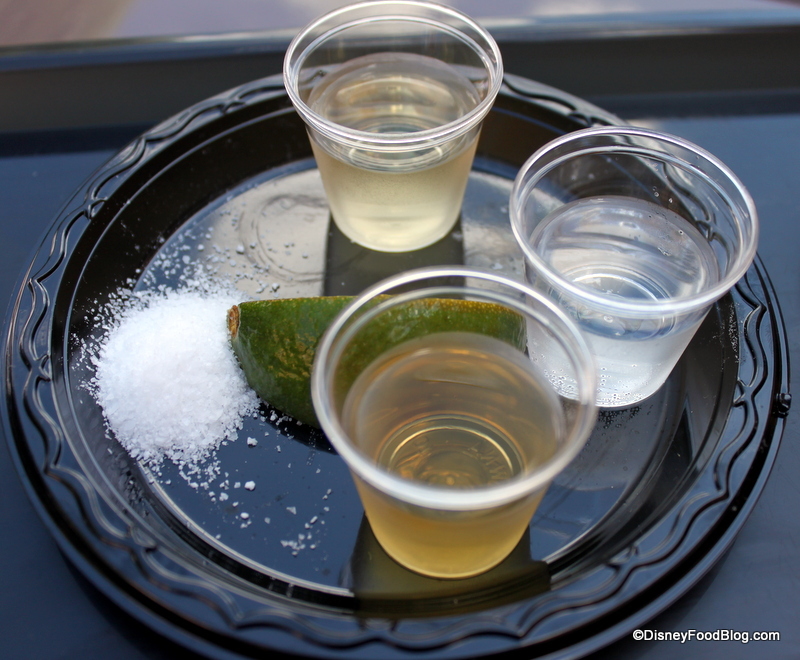 Over at the Mexico Booth, the Tequila Flight is a bit steep at $12.50, but I thought the presentation was really fun. Japan was my 23rd booth of the day, so by the time I got there I was so full and so tired that I was really dragging my feet. And while this little item doesn’t look like much, it really caught my waning attention! It was absolutely delicious! Think “really good cheesesteak with no cheese and some teriyaki sauce instead” and you’ll get the idea. (You totally know what it’s like, now, right? 😉 I know. I have a gift of communication.) Anyway, try it. Get the sushi, too, but don’t pass by this one. 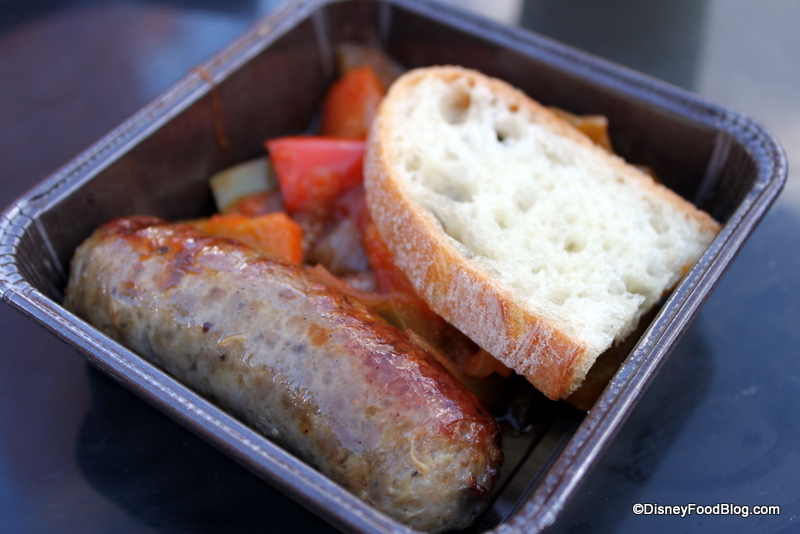 While there are plenty more brand new items at the Epcot Food and Wine Festival, these were just a few stand-outs from my first day at the festival. I’ll be back soon with more fun details and reviews, but in the meantime, follow me at the festival! Wanna See ALL the Food at the Festival Booths? Don’t forget to check out all of our brand new FOOD PHOTOS from the booths on our Epcot Food and Wine Festival World Showcase Booth Pages! We’ve updated the pages with all new pics, and there are more to come tomorrow! 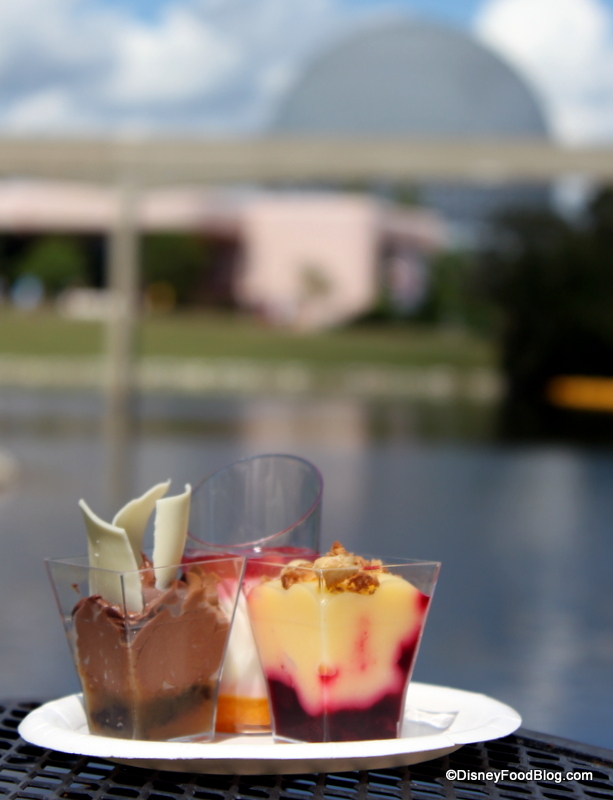 Let us know your favorite items from the Epcot Food and Wine Festival in the comments below! 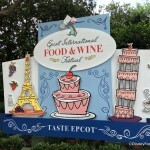 « Tour the 2012 Epcot Food and Wine Festival With Us…Online! Soooo looking forward to trying your recommendations AJ! The pocket from South Africa looks yummy….and lemon curd?? Oh yes, I love it!!! Wow! 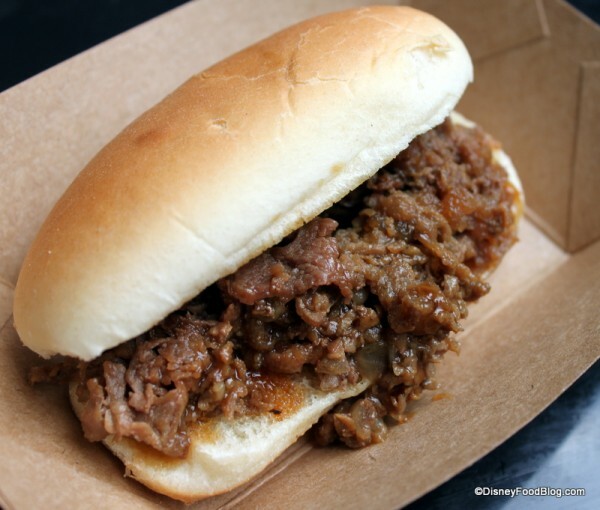 I checked the blog today not expecting to see photos and updated menus for all of the booths, but you exceeded my expectations! Awesome job. 23 booths AJ? You’re an animal! Sounds like a Food Network special is in your future: Women vs. Food. 🙂 Have you ever considered a video blog? I can’t believe you sampled everything! I’m very impressed and a bit jealous. 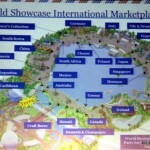 I’ve just read this post so far but definitely looking forward to checking out the pages for the individual booths. I’m 28 days away from enjoying the Food and Wine myself! Can’t wait. Wow! 23 booths in one day! You’re a machine! Thanks for the wonderful pics! I’ll be at the festival tomorrow, and now I know what to look for! Ha ha!! You guys are hilarious! I wasn’t looking for kudos, but I’ll certainly take them! 😉 It was a long, but wonderful day to be sure! Headed back today to get one more booth and a few items that were not yet ready to be served yesterday. 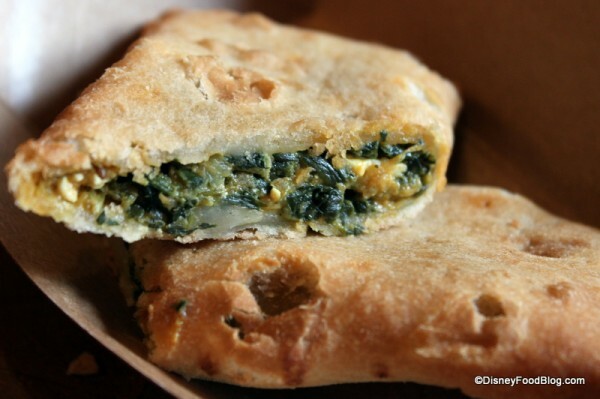 The spinach and paneer pocket is on my list of items to try. I’ve been meaning to ask, do you have any photos of the souvenir stein? That dessert trio looks delicious! My last trip to WDW was my first visit to the Food & Wine Festival, and I loved it. We’ll miss it when we go this year, but there’s already talk of catching it on the next trip. I’ll have to see what other finds you uncover this year! Jason — I do! I’ll add it to the upcoming merchandise post publishing this afternoon. AJ, was the spinach paneer pocket deep fried or baked? It looks delicious, and sort of healthy…love it! Bravo, taking one for the blog (and the readers)! What a day, you must have been stuffed and exhausted! So great to get a peek at all the goodies, someday I will be celebrating fall at this wonderful event, in the meantime, thanks for all you do here. AJ, wonderful, wonderful….. Can’t wait, DH and I will be there on Oct. 24 for 6 days….. Thanks for doing most of the legwork so we don’t have to. Can you request a level of doneness for the steak? And for us glass half empty people, will there be a “worst of” list? The spinach & paneer pocket was probably one of the tastiest items I tried when we were there. I’m going to try to track down a recipe. So tasty.